Melodically there's nothing desperately catchy on their superb third album Ape To Angel (2003), the moment when they really hit their stride following two earlier long players. These tracks make you work and pay attention before surrendering their charms - and the rewards are well worth it. In the new century it seems dub can be almost any instrumental bass-heavy electronica. A media release for New Zealand duo Pitch Black (Michael Hodgson and Paddy Free) once called their music "cross-genre dub beats and mind-expanding sounds", a description which is right on the money. 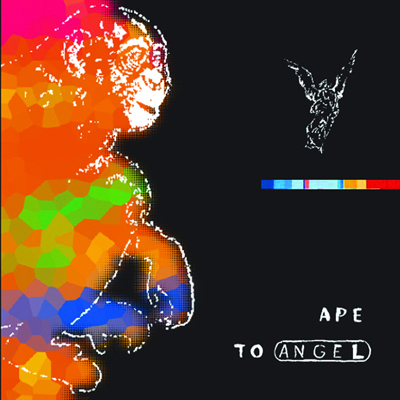 Melodically there's nothing desperately catchy on their superb third album Ape To Angel (2003), the moment when they really hit their stride following two earlier long players. These tracks make you work and pay attention before surrendering their charms - and the rewards are well worth it. There's more techno flavour here than a lot of other ambient dub; "Flex" and the exquisite title track recall the spacey lushness and techno precision of classic Global Communication and Artificial Intelligence releases from Warp Records in the 1990's. Relaxed, techy pads and melodic pulses unfold and bounce around the speakers, spiraling off into slowly decaying echoes. It's the big dubby bass element, however, that gives these tracks their distinctively warm surface. There's plenty of variety on Ape To Angel, too. "Lost In The Translation" is driven by a catchy Arabian drum groove but cleverly disguises it with a reggae pulse and a distorted tribal vocal. "Big Trouble Upstairs" is a progressive breakbeat stormer, building slowly to a dancefloor intensity by adding layers and repeating themes. The quietest track here is the gently grooving "Empty Spaces Missing Units" - imagine 21st century lounge music for planetary fly-bys. Pitch Black's fourth album Rude Mechanicals (2007) is cut from the same stylistic cloth and is also superb. A higher melody count and a little less abrasion makes it perhaps even a better introduction to the band's music than the previous release. Since then, there has been no more albums of new original material from the band, though their discography includes a number of remix albums that well worth hearing if you like the above two releases.